Let us help you get these type of results for your business. We'll help you improve and grow your business. Check out a few of our client success stories. We respect the privacy of our clients, so the names of the businesses involved are not listed. The client is a business owner who was originally looking for help with SEO to get more customers. Upon further inspection after a few discussions, we discovered that they were having a cashflow problem that was more of a priority than investing in SEO at the moment. After taking a look at the history of the company, we noticed that their front end of getting new customers had a sales process that was in great shape and performing well. The problem instead was that even though they were executing a lot of business, there wasn't any profit left over, which was the cause of the cashflow shortage. The implementation of a CRM software gave an immediate boost in productivity in the business. The software was automatically doing many of the steps that required a lot of paperwork and logistics before. Of course, change is hard, but after a few weeks, the team wondered how it ever functioned before without the new software. It saved around 3 hours of labor per day on average for each worker! After streamlining their processes, we also found many examples of ways to save on costs. By quantifying the financials, like setting a budget, and monitoring progress, we were able to fix where the cash was going. Before, they were operating typically at 30% gross profit and 0% net profit and the business had acquired some debt. After, the net profit margin was averaging around 20% and the majority of the debt was paid off. This made a substantial difference in the business, since their revenue was already pretty big. We implemented best practices on their website to improve conversion rates and saw over a 4x improvement on potential customers filling out their contact forms. For the near term, the Adwords effort brought in a lot more traffic which filled their sales pipeline and kept it full over time. They even had to implement a minimum project price so that they could focus on the higher dollar customers, as well as maintain a minimum profit margin. Investing in SEO with the new available cashflow brought an increase of 2x traffic over 6 months, which helped greatly with expansion. In summary, the company was able to operate their business with a staff of 5 that before took over 30. They also went from not making any net profit for many years, to a net profit margin of over 20%. Their pipeline is now consistently full with new business pouring in and they have to turn away smaller projects. The client approached us for help with their SEO and CRO. They wanted more traffic to the site, and they also wanted people to click on more parts of the website. The first thing we did for them was keyword research to identify specific strategic targets that would get them results. Next, we created amazing content to target these keywords, and focused on optimizing the conversion rate on each of these pages to get visitors to click on specific items. Here is a collection of different keywords that we have ranked for them. The Google ranking position can be found on the left axis with 1 through 10 being on page 1 of Google search results. 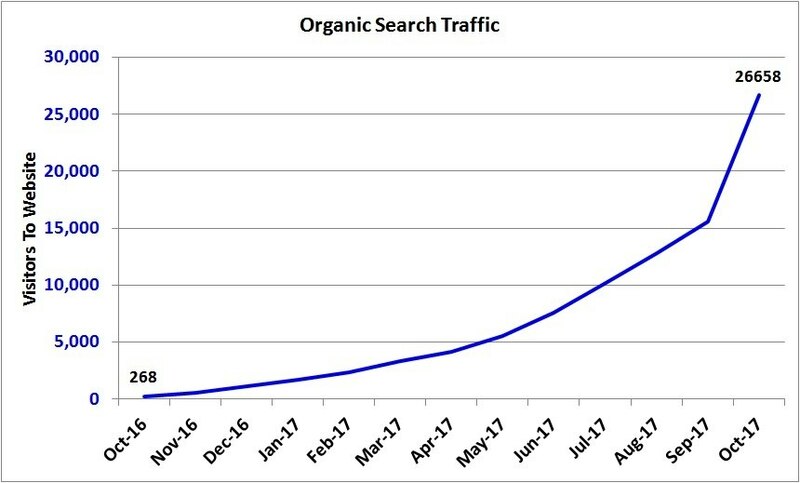 We ranked many high competition keywords that had a lot of searches per month, bringing in over 26,000 visitors from Google each month. Here is the same curve, but from Google Analytics instead. Scroll maps are super useful to find out how far visitors are scrolling down the page when they visit. It can indicate where the content has problems, and then allows you to fix it and then retest. Here are several pages that we optimized with the goal of getting the visitor to focus their attention on key parts of the pages where they were most likely to take the desired action, which drastically improves sales. 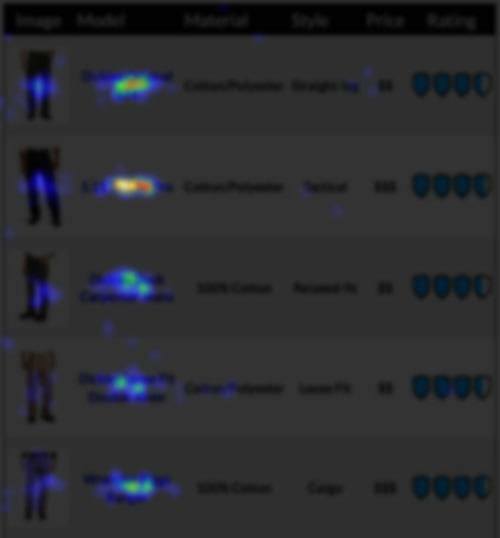 We use heat maps to know where visitors are clicking, and then make changes to get them to click the things that we want them to click to turn them into paying customers. 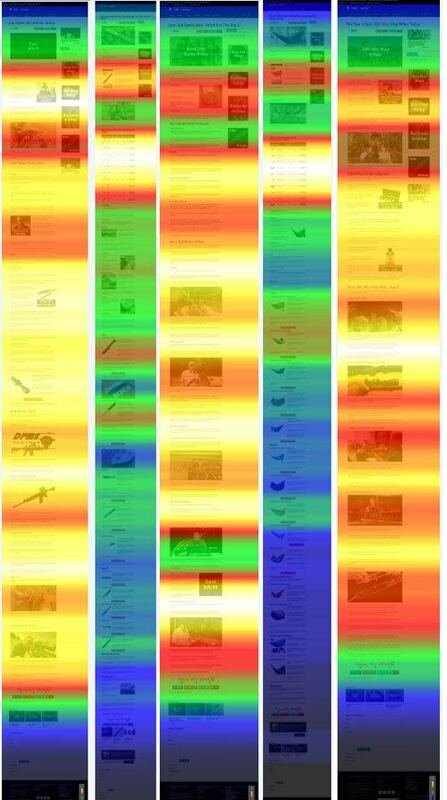 Where visitors click more appear "more hot", which the colors will range from blue (least clicks) to green to red to yellow to white hot for the most clicks. 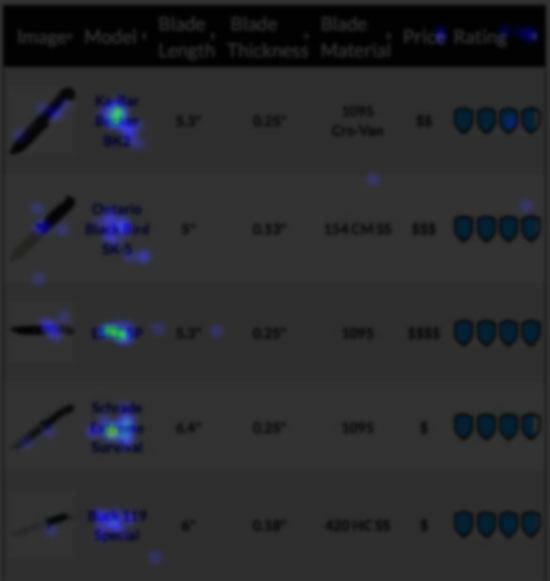 Here's an example where we increased the clicks by more than double on specific products that were better sellers. Here's another example where we did the exact same exercise on a different page.